Active adults and retirees have been drawn to Southern Texas due to its mild winters, low cost of living, friendly environment and recreational opportunities. Southern Texas is rich with culture and traditions and is home to many historic attractions. 55+ residents love the warm weather and close proximity to water. Whether you are looking for a permanent residency or a second, winter home, Southern Texas is sure to have something for everyone. The climate in Southern Texas varies and includes both semi-arid and humid subtropical conditions. 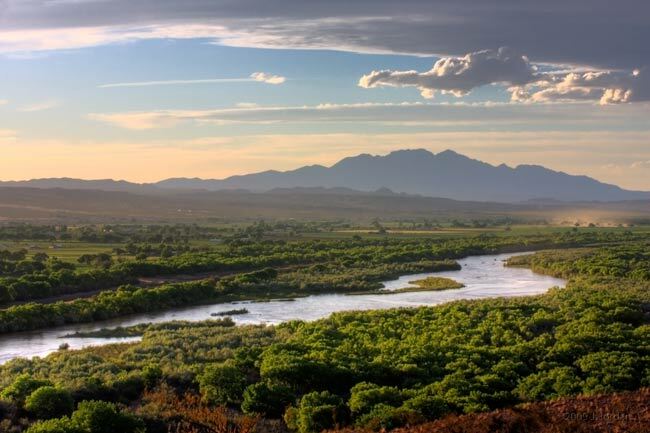 The Sierra Madre Oriental Mountains, Gulf of Mexico and Chihuahuan Desert play a huge role in determining the weather. The winters in this region tend to be cooler and drier while the summers for the most part are hot and dry. This area rarely sees snow due to its location. Hurricanes are common in Southern Texas and tornados occasionally occur but they are less frequent than other parts of the state. Active adults and retirees love this region which occupies a diverse landscape including beaches, ports, ranches, and vibrant cities. Southern Texas has a unique cultural mix between the United States and Mexico. It has strong Hispanic heritage influences due to the area's significant role in the Mexican War of Independence, the Civil War, Texas Independence and the Mexican-American War. Southern Texas is the ideal place to grow fruits and vegetables due to a warm climate and fertile land. Its close proximity to Mexico and location next to the Gulf of Mexico makes it a key player in international trade. The large number of livestock ranches in this area is why Texas leads the nation in cattle and calves. Southern Texas economy is mainly driven by tourism. Southern Texas is home to many attractions including South Padre Island, Gladys Porter Zoo, Palo Alto Battlefield, Laguna Atascosa National Wildlife Refuge, and Flacon Lake. The Rio Grande Valley is also one of the top birding places in all of North America. Active adults and retirees love living in this area because of the strong culture and wide variety of attractions available. South Texas' 55+ communities are ideally located close to many attractions and entertainment. The cost of living in Southern Texas ranks below the national average and this area has some of the fastest growing cities in America. Active adults and retirees love living in this region for the well-built, affordable homes. Real estate varies from town to town but in general the average price for a home is below the national average. There is sure to be a town to suit almost any active adult or retiree s budget and preference. The healthcare industry is a vibrant and rapidly growing part of the Southern Texas economy, especially in the metropolitan areas. There is a high number of uninsured residents, and a higher than average prevalence of chronic disease but they are working on improving the quality and accessibility of healthcare. Residents 55+ and better are grateful that many of the larger cities have top-notch medical facilities such as the McAllen Heart Hospital, McAllen Medical Center, Rio Grande Regional Hospital, and Edinburg Regional Medical Center.